Today we’d like to introduce you to Patrick Henry. Henry brings over 20 years of high-technology executive experience and market leadership to GroGuru. He has served in executive management roles in companies ranging from small, innovative startups to large multinationals. Just prior to GroGuru, Henry was an investor and advisor to GroGuru and the CEO of strategy consulting firm QuestFusion. Henry is also the former CEO of cable networking company Entropic Communications for eleven years, which he lead through an IPO in NASDAQ in late 2007, and ran as a public company for over seven years. Henry also served as president and CEO of Pictos Technologies and LinCom Wireless. He also served as a vice president and general manager at LSI Logic and was a senior vice president at C-Cube Microsystems. Henry earned an MBA from the University of Southern California, and holds a bachelor’s degree in engineering science and mechanics, with high honors, from the Georgia Institute of Technology. Building and running companies are never easy. There are always ups and downs, and even times of tremendous adversity. The key is to persevere, learn from your experience, and remain flexible while continuing to stay committed to your key goals. I invested in GroGuru over a year ago and have been an advisor to the company ever since. I recently joined the company full-time as the new CEO. 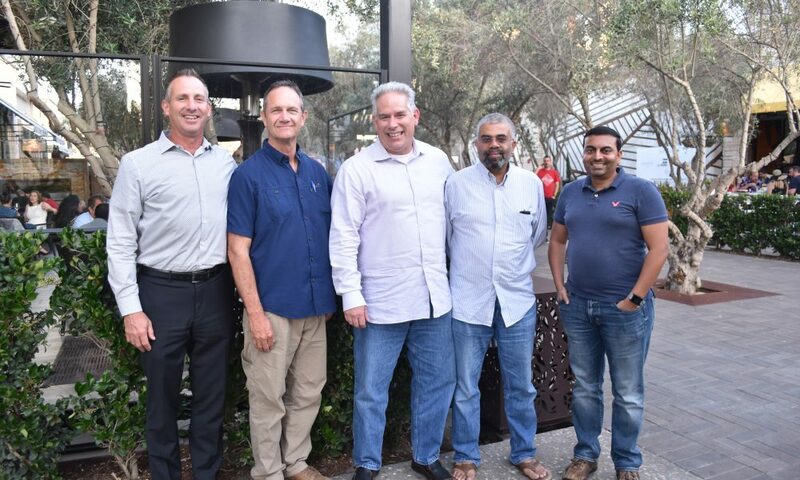 I am very excited about being a part of the GroGuru team, We have a tremendous technology base, and some great initial traction in the AgTech space. I have been very impressed with the system-level approach, the breakthrough technology and the expertise of the team at GroGuru. Winning the Radicle Automation Challenge was additional validation from AgTech industry insiders that GroGuru has an amazing future in the agriculture market. Please tell us about GroGuru. 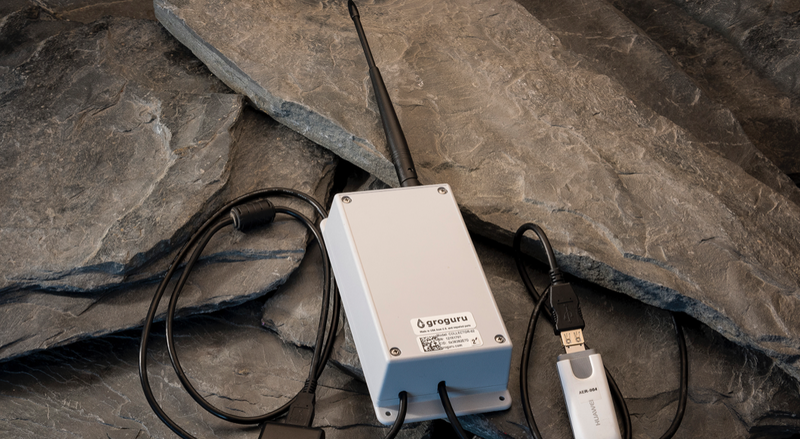 GroGuru provides a precision soil and irrigation monitoring system to the agriculture industry. 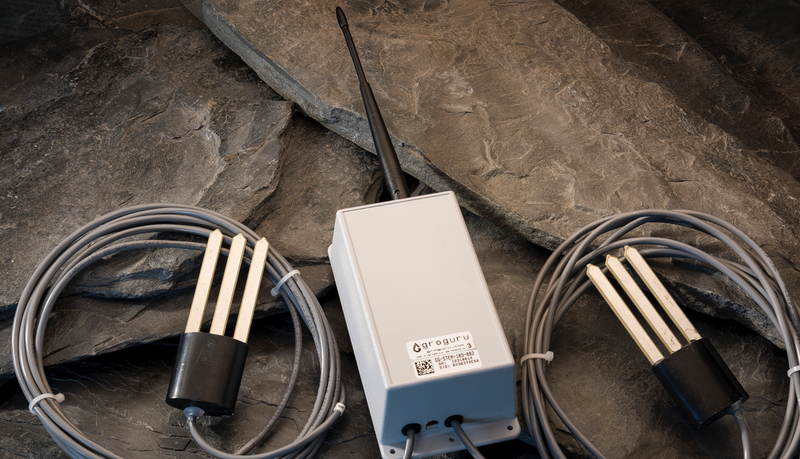 We have the only 100 percent wireless underground IoT (Internet-of-Things) platform to monitor crop growing conditions, provide real-time irrigation recommendations, improve crop yields and save farmers money. We are basically providing X-ray vision to the growing conditions that farmers cannot see without our system. I am very proud of our product’s reliability, accuracy and convenience to farmers. We provide a product with a focus on sustainability. Water is becoming more scarce, and water available for crop irrigation is becoming more limited. Sustainability is key. I’m also very proud of the team that we’ve assembled at GroGuru. We have a set of world-class experts in wireless technology, artificial intelligence, machine learning, and agriculture. It is also a great team to work with! We have a lot of fun as we are working to solve one of the worlds biggest global problems. I’m not much of a Monday Morning Quarterback. I’ve made mistakes and done a lot of things right. I try to learn from my mistakes and not repeat them. I think it is important to constantly be learning, and focus on doing the right thing.